The acrylic paint is thick and creamy with a satin finish with a good pigment load, the colours will glide on smoothly, dry quickly and stay vibrant. The paint will retains peaks and brush strokes ideal for learning colour theory and colour mixing. The slow drying blending medium is a unique formulation that extends drying time up to 40% for blending with acrylics. It Is lightweight, non-toxic and dries to a water-resistant, non-yellowing surface. 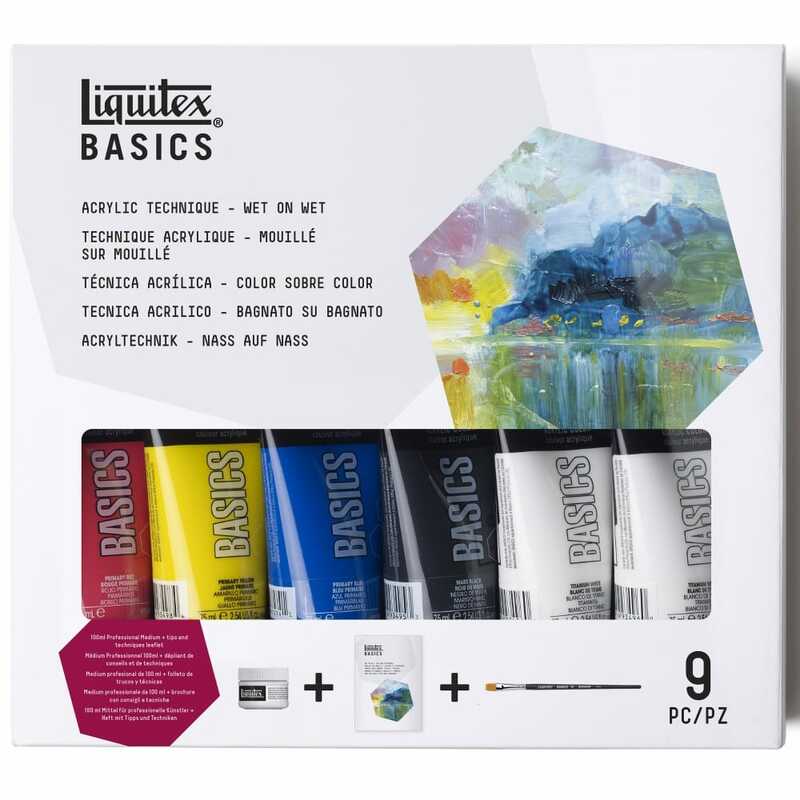 The set contains 6 x 75ml tubes (1 primary red, 1 primary blue, 1 primary yellow, 1 mars black, 1 titanium white), 1 x 100ml professional slow dry blending medium, and 1 paint brush. Showing 2 Liquitex Basics Acrylic Technique Wet on Wet reviews. Average rating of Excellent. Would you like to write a review? High quality paints for beginners at a good price.